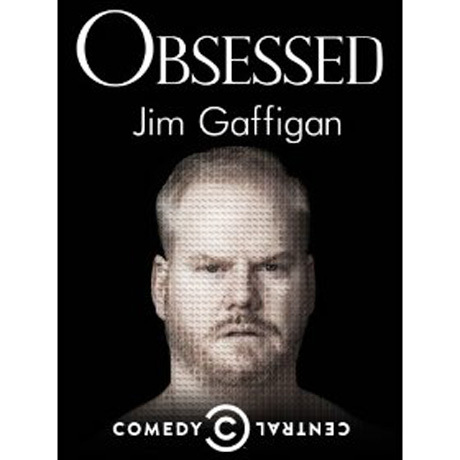 Arguably the king of mid-life incredulity among stand-ups, Jim Gaffigan is at peak power on Obsessed, an overwhelmingly funny collection of personal anecdotes and observations. Gaffigan has mined his married life and fatherhood to great acclaim but, aside from "5 Kids," Obsessed only contains hints of that aspect of his days, broadening his gaze to include more universal topics. In particular, the album revolves around food. By title alone, nine of the thoughtful bits here have names like "Donuts," "Fried Bread" and "Hot Dogs & Buffalo Wings," and the whole record is set in motion by "Can't Stop Eating." Gaffigan tells his Boston audience that he hasn't been hungry in 12 years, and, at the risk of bragging, suggests he's been preparing his body for a big role. "It's a cinnamon roll, " he adds, a rare cutesy throwaway. Gaffigan is gifted at describing his own idiosyncrasies in a personable enough way that the inherent critique he's making about human behaviour doesn't sound snooty. "The south will never rise again because they don't have the energy," he says at the end of a hysterical segment about the odd ubiquity of biscuits and gravy he's noticed down there. He wisely describes "Weddings" as a baffling tradition where we pretend we're kings and queens joining families and sending princes and princesses on unjustified vacations, and on "Cancer," he wrestles with people who suddenly appeal to a higher power in the face of sudden, unpredictable doom.